Parsley (Petroselinum Crispum) other names: Apium crispum, Apium petroselinum, Carum petroselinum, Common Parsley, Garden Parsley, Graine de Persil, Hamburg Parsley, Huile de Persil, Parsley Fruit, Parsley Oil, Parsley Root, Parsley Seed, Perejil, Persely, Persil, Persil Cultivé, Persil Frisé, Persil de Naples, Persil Odorant, Persil Plat, Persin, Petersylinge, Petroselini Fructus, Petroselini Herba, Petrosilini Radix, Petroselinum crispum, Petroselinum hortense, Petroselinum sativum, Petroselinum vulgare, Prajmoda, Racine de Persil, Rock Parsley. Parsley (botanical name Petroselinum crispum) belongs to the family Apiaceae and is among the most well-known herbs that is extensively used for garnishing of over 2,000 years, but it is hardly ever consumed. In addition, the leaves, fruits and root of parsley have also been employed in traditional medicine for several centuries. Botanists have described the leaves of this herb as pinnate decompound, which denotes that they are divided and have an appearance slightly akin to feathers. As it is able to easily identify parsley by any individual who has eaten this herb anytime in any restaurant, however, there are a number of essentials regarding parsley. For instance, parsley is a biennial herb that is cultivated extensively. This herb produces small yellow flowers in clusters. The fruits of this herb, which are generally known as seeds, are vey small, oval-shaped whose color varies from grayish to grayish brown having interspersing furrows and ribs. Precisely speaking, the herb parsley grows biennially or perennially for a brief period. The parsley does not have any hair or bristle and its roots are slender, whitish, having the shape of a spindle that gives rise to a straight, hairless, furrowed and angular stem that may attain the height of somewhat more than two feet. Usually, people in California, Belgium, France, Germany and Hungary grow parsley as an annual plant for its undergrowth. Several varieties of this plant are in existence. The different parts of parsley that are used include its ripened fruits (also known as seeds), the leaves as well as the other parts of the herb that grow above the ground. The parsley bears white or greenish-yellow flowers in compound umbrella-shaped bunches (umbels) during the period of June and August. Intriguingly enough, parsley is toxic to majority of the birds, but extremely beneficial for animals, as it facilitates in healing their ailments, for instance, foot-rot in goats and sheep. In effect, wild parsley plants growing all over the British Isles are intimately related to the celeries and, in the ancient times, the Anglo-Saxons employed them to repair skulls fractured in combat. In conventional medicine, fruits (seeds) of parsley were basically employed in the form of a stomachic or carminative (a medication that is beneficial for the stomach, especially in facilitating digestion as well as expelling the gases formed in the stomach). Similarly, the roots of parsley are used in the form of a diuretic (any medication that increases urine outflow). 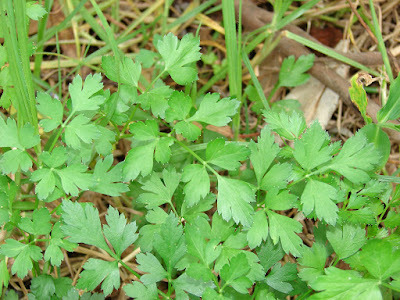 In addition, the fruits of parsley were also somewhat reputed to possess emmenagogue (any medication that enhances menstrual discharge) as well as abortifacient (encouraging abortion and menstrual flow) properties. While people do not consume parsley in enough amounts, this herb is an excellent natural resource of provitamin A (carotene), vitamin B1, vitamin B2 and vitamin C. In addition, parsley also contains iron as well as other valuable minerals. Hence, when parsley is blended with bulgur as well as other ingredients in the delicious Lebanese salad called ‘tabbouleh', it is an excellent nutrient. Owing to the comparatively elevated amount of volatile oil enclosed by parsley, the fruits (known as seeds) of the plant are likely to have a number of diuretic as well as stomachic properties. However, both these actions of the plant are comparatively gentle. 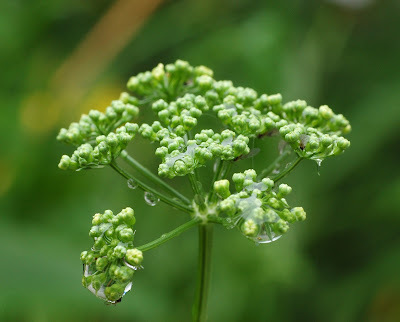 The volatile oil of parsley contains toxic substances like apiol, myristicin and other and hence, should never be administered to women during pregnancy under any situation. As the effectiveness of parsley fruits is not properly recorded and the hazards of using them are much more compared to the benefits, health authorities in Germany never suggest the use of parsley fruits (seeds). Currently, one will hardly find parsley growing in the wild. However, today parsley is extensively cultivated throughout the world in the form of a nourishing herb. 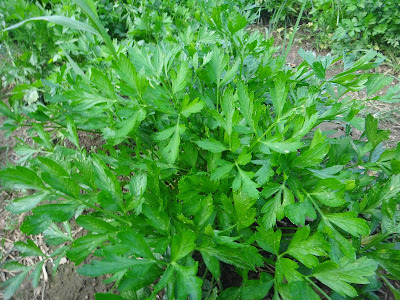 The leaves of parsley are harvested anytime between spring and autumn - the growing season of the plant. The fruits (seeds) of the herb are collected immediately when they are ripe. Generally, parsley is cultivated in the form of an annual plant. 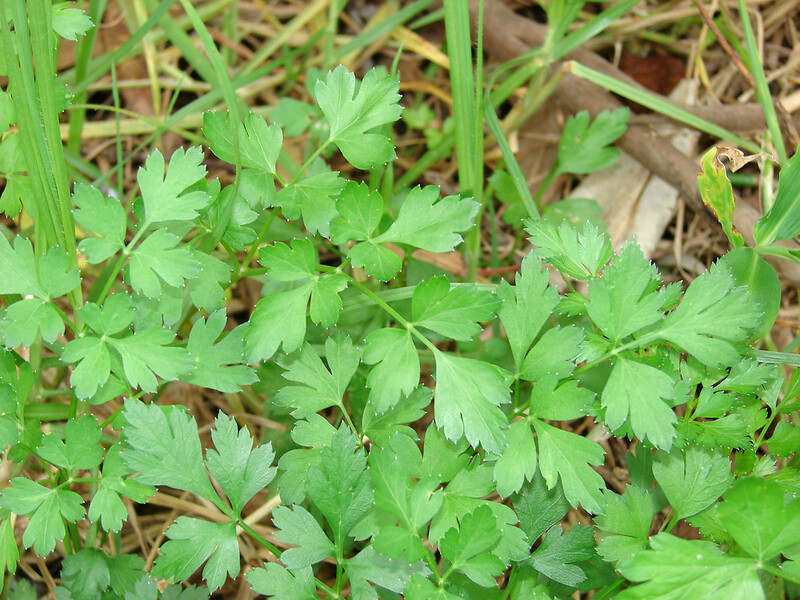 The curvy leaves of parsley are well accepted in the form of a garnish. However, the Italian variety of parsley, which is flat-leaved, is known to possess additional flavour. Both these varieties of parsley have a preference for a fertile, properly drained soil and complete sunlight or semi shade locations. Parsley is propagated by its seeds, which germinate extremely sluggishly. If you are growing parsley, you need to have patience after sowing the seeds in damp soil - ideally about 8 inches away from one another. Parsley grows best in extremely rich and well-drained soil and can endure pH range between 4.9 and 8.2. Parsley needs to be watered to keep the soil moist in dry seasons. Parsley flourishes in complete sunlight, but also grows in partial shade. Although the germination process of parsley seeds is extremely sluggish, parsley should necessarily be propagated from its seeds. Parsley is an herb. The leaf, seed, and root of parsley are used to make medicine. Be careful not to confuse parsley with fool's parsley and parsley piert. Parsley is used for urinary tract infections (UTIs), kidney stones (nephrolithiasis), gastrointestinal (GI) disorders, constipation, jaundice, intestinal gas (flatulence), indigestion, colic, diabetes, cough, asthma, fluid retention (edema), osteoarthritis, “tired blood” (anemia), high blood pressure, prostate conditions, and spleen conditions. Parsley is also used to start menstrual flow, to cause an abortion, as an aphrodisiac, and as a breath freshener. Parsley leaves have a number of uses, including nutrient, medicinal as well as culinary. For instance, the fresh leaves of parsley are extremely nourishing and may be deemed to be a natural vitamin as well as mineral supplement in their individual capacity. 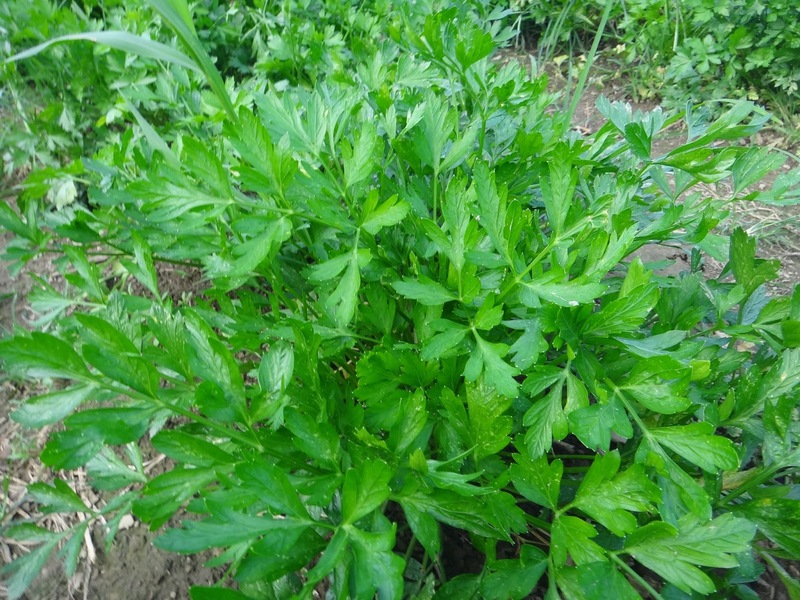 Compared to the leaves of the plant, the fruits of parsley possess a very potent diuretic action and can be used in place for celery seeds (Apium graveolens) for treating arthritis, rheumatism, and gout. Both parsley as well as celery work by clearing out the waste substances from the tender and swollen joints as well as subsequently getting rid of them through the kidneys. In effect, in herbal medicine, the roots of parsley are more commonly prescribed in comparison to the leaves and seeds of the herb. Parsley roots are administered for treating a number of varied health conditions, including rheumatism, cystitis, and flatulence. In addition, parsley is also valued as a medicine that encourages menstruation and is especially useful in stimulating a belated menstrual period as well as in easing menstrual pain and discomfort. Findings of several studies have shown that myristicin, an organic compound present in the volatile oil obtained from parsley helps to slow down the formation of tumour, particularly in the lungs, and, at the same time, stimulates the enzyme called glutathione-S-transferase, thereby facilitating the molecule glutathione to bind to as well as combat oxidized molecules. Although toxic in nature, myristicin also has the aptitude to combat carcinogens, such as benzopyrene found in cigarette smoke, which may go through the body. As a result, this compound helps in combating colon as well as prostate cancer. Parsley is a very rich storehouse of antioxidants, which include luteolin - a flavonoid that scavenges as well as eliminated the harmful free radicals that harm the cells by causing them to undergo oxidative stress. In addition, luteolin also encourages metabolism of carbohydrates and is useful for our body in the form of an anti-inflammatory agent. It may be noted that two tablespoonfuls of finely minced parsley enclose about 16 per cent of the RDA of vitamin C as well as more than 12 per cent of the RDA of vitamin A - two very potent antioxidants. As mentioned earlier, parsley contains vitamin A and vitamin C and these nutrients work to fortify the immune system of our body, although in dissimilar manners. It may be noted that vitamin C is essential for collagen - the key structural protein present in connective tissues. While helping to speed up the ability of the body to heal wounds, this indispensible nutrient also facilitates in maintaining healthy teeth and bones. It may be noted that an amino acid found in the body called homocysteine actually menaces the blood vessels of the body when the levels of this amino acid become extremely elevated. Fortunately enough, the folate or vitamin B9 present in parsley assists in transforming homocysteine into risk-free molecules. Hence, consuming a garnish of parsley on a regular basis may facilitate in protecting against cardiovascular ailments, for instance, stroke, heart attack and atherosclerosis. Two tablespoonfuls of finely minced parsley contain a large amount of 153 per cent of the RDA of vitamin K that is essential for the amalgamation of osteocalcin - a protein which fortifies the composition of our bones. In addition, vitamin K also helps to avoid accumulation of calcium within the tissue and this may result in atherosclerosis, stroke as well as cardiovascular disease. Last, but not the least important, the vitamin K present in parsley is necessary to synthesize sphingolipid - the fat required to sustain the myelin sheath around the nerves, and, hence, the nervous system in general. Parsley is one herb that is extensively used for culinary purposes and they are extensive. However, it is important that parsley's use should not be restricted only to using it for garnishing flavourful dishes. You may add the leaves of parsley to stews, soups, sauces, vegetable dishes, stuffing, spicy pies, eggs as well as casseroles. In addition, you may use parsley leaves to dishes you prepare with fish, meat and even shellfish. Moreover, you may also add parsley to your salads. In effect, parsley is an indispensable ingredient of tabbouleh - a delicious mainstay cuisine of the people in the Middle East. Parsley may also be used in spicy dips, biscuits, mousses and crackers. It may be noted that chefs in Italy have a preference for a more potent taste of the variety of parsley (flat-leaved) grown in that country and use it widely. Additionally, parsley is a stable of excellent French culinary. Parsley is added to bouquet-garni, together with thyme and bay leaf, in aux fines herbes - combination of parsley, chives, tarragon, or chervil as well as persillade (a finely sliced mixture of parsley and shallots that are conventionally included in any preparation immediately prior to the cooking being finished). The oil extracted from the parsley leaves as well as its fruits (seeds) is commercially employed to add flavour to curries as well as canned meats, sauces, condiments, soups, pickles and baked items. Also, parsley seed oil applied to the skin is likely unsafe as parsley seed oil can cause the skin to become extra sensitive to the sun and cause a rash. Not enough is known about the safety of applying parsley root and leaf to the skin. Pregnancy and breast-feeding: Parsley in food amounts is fine, but parsley in larger medicinal amounts is likely unsafe when taken by mouth during pregnancy. Parsley has been used to cause an abortion and to start menstrual flow. In addition, developing evidence suggests that taking An-Tai-Yin, an herbal combination product containing parsley and dong quai, during the first three months of pregnancy increases the risk of serious birth defects. If you are pregnant, stick with using only the amount of parsley typically found in food. Not enough is known about the safety of using parsley in medicinal amounts during breast-feeding. It’s best not to use more than typical food amounts of parsley.